The Sterling 49mm weatherproof padlock has a steel laminated body and hardened steel chrome plated shackle. It has a double locking mechanism and a thermoplastic weatherproof jacket enabling it to be used for outdoor purposes. 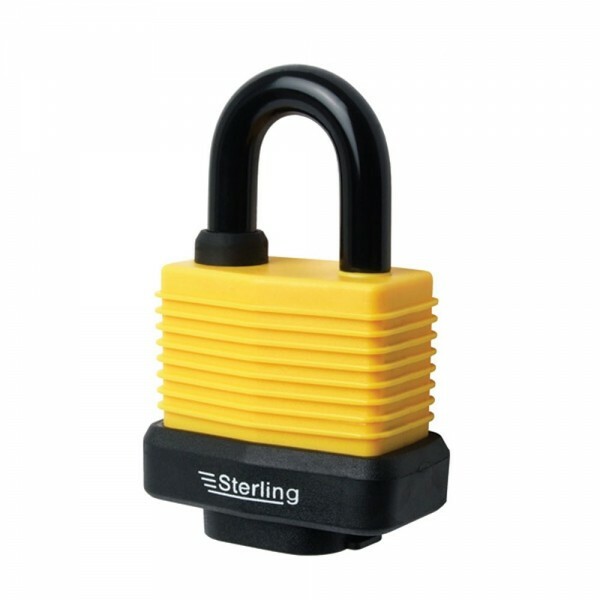 It also has a protective cover over keyhole and a brass cylinder with standard section keyway. 10 Year Guarantee.